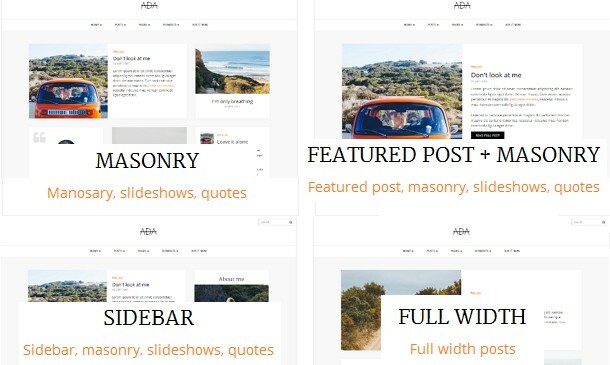 Ada is a clean personal blog Bootstrap template Ada is designed to optimize your reading experience as much as possible. It is easy to use and configure. 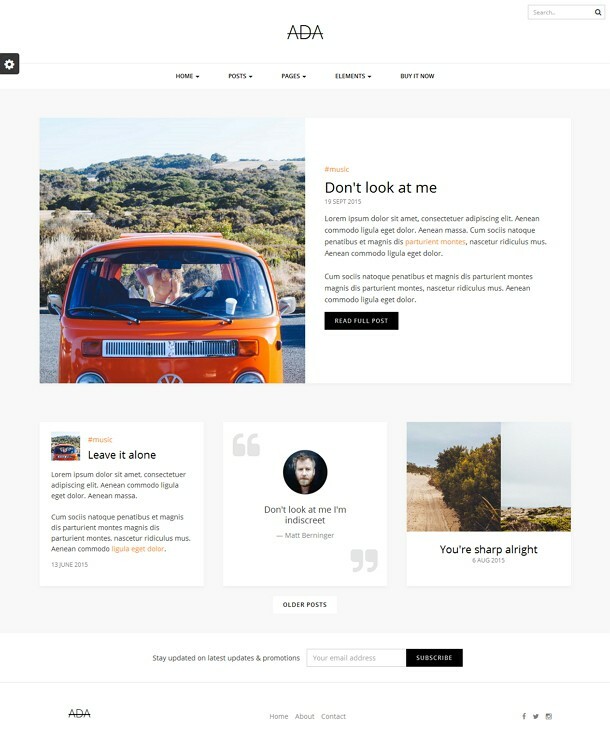 Item Reviewed: Clean Personal Blog Bootstrap Template 9 out of 10 based on 10 ratings. 9 user reviews.